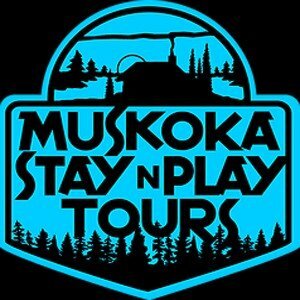 Plan your visit to Bala, Ontario for great year round Muskoka experiences and lots of dining and shopping choices. 2018 marks the 150th year of Bala’s settlement! Happy 150th Birthday, Bala! 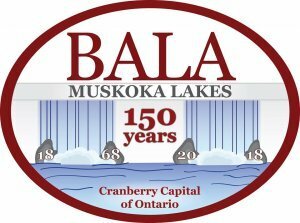 Bala is the only official town in Muskoka Lakes and is located on the western coast of Lake Muskoka where it tumbles into the majestic Moon River. It is marked by many bare outcroppings of the Canadian Shield as well as the famous Bala Falls. Bala was settled by Thomas Burgess in 1868, who opened a sawmill and general store to serve the settlers scattered among the area. Burgess named it after the town of Bala, in the Bala Lake area of Wales. Bala’s first post office opened in 1872, with Burgess as postmaster. Unsuitable for farming given its rocky Canadian Shield geography, Bala’s economy began to decline with a downturn in the logging industry. However, with the expansion of the railway bringing rail service to the area in 1907, Bala was reinvigorated as a tourist destination, and a popular location for summer resorts and cottages. The town incorporated in 1914, and A.M. Burgess, son of Thomas Burgess, became the first mayor of Bala, which was, at the time, the smallest incorporated town in Canada. It remained so until it amalgamated with the Muskoka Lakes Township in 1971. In 1917 the Burgess family helped establish a hydroelectric facility on the site of Thomas’s original sawmill. This generating station supplied power for much of the Medora and Wood Townships. Known to many as home of the Bala Cranberry Festival (always the weekend after Thanksgiving! ), The Kee to Bala, and Don’s Bakery, Bala is a vibrant commercial centre. It has a large selection of unique shops and is home to a weekly farmer’s market in the summer season. To learn more about what’s in store for you in Bala, view our Member listings and shopping information below. Right in the centre of town are a variety of shops all within walking distance of each other. Outside of high season, call ahead to make sure of opening hours. Chamber member shops include Overboard, Bala’s boutique for beautiful women’s clothing and gifts (same side of Highway 169 as the LCBO). Across the street, Twig offers stunning home and cottage decor, and there’s more to be found – decor, clothing and jewelry – at Birchbark at the corner of Highway 169 and Maple Street. In Portage Landing beside Don’s Bakery, browse the new Rustic Corner for beautiful cottage decor. For home needs and hardware, you can always count on Weismiller’s TimbrMart, Pengilly’s Hardware and you can find gorgeous window and door solutions at Lakeland Windows and Doors. Use our Member Search to find Chamber member stores, restaurants and experiences in Bala. Need a painter, cleaning service, plumber or carpenter? Maybe you’re looking for help with your website. Shopping local also means finding a Chamber member nearby who is ready to serve a wide variety of your needs at your home, office or cottage. Browse below or use our Member Search and enter a key word to find members offering the service you need. In town, we have several restaurants that are Chamber members, offering everything from breakfast to ice cream and coffee to fine dining. Check out Bala Falls Pub, Moon River Lookout, Bala Bay Food and Spirits and Pizza Nova (in the former Bala Bay Inn), The Hook and Ladder, Castle Blue, and Cottage Cravings. Next door to the Cottage Cravings plaza is The Cottage Butcher. In summer and spring/fall weekends, Don’s Bakery is famous for its wide array of excellent baked goods. For all your food needs, Bala Freshmart is found in the centre of town and Oliver’s Coffee is in the same building. Heading toward 400 on 38? Check out the Northern BBQ Shack and the award-winning Mrs. H’s Fish and Chips. Just outside of Bala is a PIE Wood Fired Pizza Joint in Torrance with Clear Lake Brewing Co. tucked in behind it. Bala is also famous for The Kee to Bala! A must-visit musical hot spot for over 75 years. Johnston’s Cranberry Marsh and Muskoka Lakes Winery, just outside of town, is open year round and together with the award-winning Bala Cranberry Festival, the marsh has put Bala on the map as the Cranberry Capital of Ontario. Bala is also famous for The Kee to Bala – a music must visit hot spot for over 75 years. For the sporting enthusiast, Bush’s Watersports Park serves up Muskoka’s only cable wakeboard park, the “What Wake Park”. Bala’s Museum, also known as the Anne of Green Gables Museum, offers up the history of Bala and memories of Green Gable’s author Lucy Maud Montgomery’s stay that helped inspire her novel, The Blue Castle. You can pick up Heritage Walk maps from the Chamber and learn more about Bala through a series of historic plaques. A picnic in Margaret Burgess Park gives you a view of the Bala Falls as they tumble into the majestic Moon River. And if you want to gear up for fishing, drop in to Purk’s Place in the centre of Bala or Bait, Tackle and More in nearby Glen Orchard. Bala is celebrating its 150th birthday with events all through 2018. Everyone is invited to our big birthday bash on Saturday, July 21 starting at 12.45pm with a massive group photo. Where? Right in front of the Bala Community Centre on Maple Street. If you’ve lived here, cottaged, visited, enjoyed or just love Bala, you’re invited to this Come Back to Bala Birthday Bash. We’ll follow up the group photo with a family BBQ and a 150th birthday cake. What can you do NOW to show us your love for Bala? Visit our Bala150 page by clicking here and submit your favourite memories of Bala. See you on July 21 and visit our Bala150 page often to see what events are coming up. Ted Smith Construction of Bala Ltd.